The treatment of acromegaly has significantly progressed in recent years. Several medical expert groups from around the world have developed guidelines to manage this disease. Some signs and symptoms may improve or disappear with treatment i.e. with normalization of GH and IGF, such as headaches, visual disturbances, cranial nerve palsies, hypopituitarism, soft tissue swelling, deepening of the voice, tongue thickness, snoring, excessive sweating, thickening and oily skin, acne and skin tags, joint pain/arthritis, carpal tunnel syndrome. In addition, complications may be avoided if the treatment is begun early. Which treatment for acromegaly is most effective? Surgery is the first option recommended for most people with acromegaly, as it is often a rapid and effective treatment. The surgeon reaches the pituitary via an incision through the nose or inside the upper lip and, with special tools, removes the tumor tissue in a procedure called transsphenoidal surgery. This procedure promptly relieves the pressure on the surrounding brain regions and leads to a rapid lowering of GH levels. If the surgery is successful, facial appearance and soft tissue swelling improve within a few days. Surgery is most successful in patients with blood GH levels below 45 ng/ml before the operation and with pituitary tumors no larger than 10 millimeters (mm) in diameter. Success depends in large part on the skill and experience of the surgeon, as well as the location of the tumor. Even with the most experienced neurosurgeon, the chance of a cure is small if the tumor has extended into critical brain structures or into the cavernous sinus where surgery could be risky. The success rate also depends on what level of GH is defined as a cure. The best measure of surgical success is normalization of GH and IGF-I levels. The overall rate of remission—control of the disease—after surgery ranges from 55 to 80 percent. A possible complication of surgery is damage to the surrounding normal pituitary tissue, which requires lifelong use of pituitary hormone replacement. The part of the pituitary that stores antidiuretic hormone—a hormone important in water balance—may be temporarily or, rarely, permanently damaged and the patient may require medical therapy. Other potential problems include cerebrospinal fluid leaks and, rarely, meningitis. Cerebrospinal fluid bathes the brain and can leak from the nose if the incision area doesn’t heal well. Meningitis is a bacterial or viral infection of the meninges, the outer covering of the brain. Debunking surgery (aimed to reduce the bulk of the tumor) is also indicated in cases of macroadenomas with compression of nerve structures, such as visual pathways. In cases of macroadenomas, the remission rate is less (20-40%)* even with an experienced neurosurgeon. Surgery is generally not indicated as initial therapy in cases of large non-resectable tumors without compression of neural structures. Your doctor will discuss surgery with you and which treatment is the most appropriate depending on your condition. The neurosurgeon alone or with the assistance of an Ear-Nose and Throat or ENT surgeon (for endoscopic endonasal surgery) will enter through your nose, which sometimes requires making a small cut in your nose or mouth. A special microscope and endoscope will be used to get directly into the place where the tumor lies and allow the surgeon to attempt to remove as much tumor as safely possible, and hopefully all of it. Doing the operation this way means that there is no visible scarring and your stay in hospital is short. The operation will normally take about 2 to 4 hours and you will be in hospital for about 4-6 days. Very seldom an operation through the skull (transcranial) may need to be done instead. The surgeon will explain all the surgery procedures to you, its complications and will require your informed consent. Even when surgery is successful and hormone levels return to normal, people with acromegaly must be carefully monitored for years for possible recurrence of the disease. More commonly, hormone levels improve, but do not return to normal. Additional treatment, usually medications, may be required. The risks of pituitary neurosurgery are rare. They can include hemorrhage, infection, fistula and damage to the normal pituitary gland which can occur even if the operation is performed by an expert pituitary surgeon. This means that new hormone replacement might be required after the surgery, possibly including thyroid hormones, glucocorticoids, growth hormone, estrogen or testosterone. Damage to the posterior or back portion, of the pituitary gland may produce a condition known as diabetes insipidus, which is characterized by frequent urination and excessive thirst, since the kidneys will no longer adequately concentrate the urine. This can be controlled with a nasal spray or pill form of a medication called DDAVP®. Ask your neurosurgeon for a detailed review of surgical complications. The procedure itself usually takes about 2 to 4 hours. Patients go to the recovery room for two to three hours after the surgery and are then admitted to the hospital floor. There is usually no need to stay in an Intensive Care Unit. Most patients are discharged from the hospital in just 4-6 days. How will I feel alter the surgery? You will have a sinus headache and nasal congestion. This will gradually improve over a few weeks. You should speak to your surgeon about medications that might help these symptoms. It is common to feel fatigued for two-three weeks after the surgery and this gradually improves. Depending on the type of the surgery; you may have a decrease of smell or taste but this may improve with time. That depends on what you do. The average would be about one to two months. Medical treatment of acromegaly may be considered when surgical removal of the tumor is unsuccessful, when the tumor is an invasive and non-resectable (inoperable) macrodenomas or when surgery could HDI be performed because ofmedical counter indications. Under these circumstances, medical treatment should be initiated as soon as possible. ln some cases, medical therapy may be given before surgery in order to induce tumor shrinkage and hence improve the chances of surgical cure. If re-growth occurs after successful surgical removal, medical therapy should be re-initiated as well. The following are the medical therapies available at present. Others are currently being developed as well. Somatostatin analogs (SSAs) are the first medication group used to treat acromegaly. SSAs are molecules that resemble the naturally occurring hormone somatostatin, which inhibits GH secretion from the normal or turnoral pituitary cells. They shut off GH production and are effective in lowering GH and IGF-I levels in 50 to 70 percent of patients. SSAs also reduce tumor size in around 0 to 50 percent of patients but only to a modest degree. Several studies have shown that SSAs are safe and effective for long-term treatment and in treating patients with acromegaly caused by nonpituitary tumors. 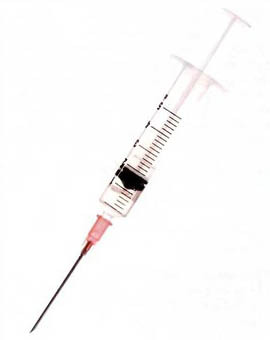 Long-acting SSAs are given by intramuscular injection once a month. These drugs should be used as first line therapy in acromegaly. They have to be given as injections at 28 days interval, either intramuscularly by a health care professional in the case of Sandostatin LAR®-octreotide or subcutaneously with Somatuline Autogel® -lanreotide. The efficacy of this treatment is assessed by symptoms improvement, plasma GH and IGF-] measurements and tumor shrinkage. Most patients tolerate this treatment extremely well. However, some experienced side effects. They are usually mild and as the treatment progresses they likely would disappear. Digestive problems - such as loose stools, nausea, and gas - are a side effect in about half of people taking SSAs. However, the effects are usually temporary and rarely severe. About 10 to 20 percent of patients develop gallstones, but the gallstones do not usually cause symptoms. In rare cases, treatment can result in elevated blood glucose levels. More commonly, SSAs reduce the need for insulin and improve blood glucose control in some people with acromegaly who already have diabetes. Pain, redness, swelling and irritation at the site of the injection can also occur. A low heart rate and fatigue are sometimes reported. Dopamine agonists (DA) prevent the GH release from the somatotroph adenoma by another mechanism than SSAs. Cabergoline (Dostiriex ®) is the most often used DA but is generally less effective than SSAs (10-50%). It may be used in people with mild or moderately elevated IGF·l levels. DA is also used to treat co-secreting tumor. This medication is given orally one to three times a week. These drugs are not as effective as the other medications at lowering GH or IGF-I levels, and they normalize IGF-I levels in only a minority of patients. Dopamine agonists are sometimes effective in patients who have mild degrees of excess GH and have both acromegaly and hyperprolactinemia - too much of the hormone prolactin. Dopamine agonists can be used in combination with SSAs. Most common side affects are nausea, hypotension (low bloodpressure),headache, lightheadedness, mental foggiiness or mood disturbances. ln cases of resistance to SSAs and DA, pegvisomant (Somavert ®) may be used when other medicines have not been successful in controlling acromegaly. Although it does not have a direct effect on the tumor or on the release of GH, it is effective in treating the symptoms of acromegaly by normalize IGF-I levels. This medication is given as a daily subcutaneous injection and can be given by the patient or a family member and are are usually well-tolerated by patients. The long-term effects of these drugs on tumor growth are still under study. Side affects are often mild to moderate in intensity and of limited duration. Pain, redness, itching at the injection site, weight gain, diarrhea, nausea, flu-like symptoms. A drug that binds to a receptor of a cell and triggers a response by the cell, mimicking the action of a naturally occurring substance. A chemical that acts within the body to reduce the physiological activity of another chemical substance or hormone. Radiation therapy is usually reserved for people who have some tumor remaining after surgery and do not respond to medications. Because radiation leads to a slow lowering of GH and IGF-I levels, these patients often also receive medication to lower hormone levels. The full effect of this therapy may not occur for many years. The two types of radiation delivery are conventional and stereotactic. Conventional radiation delivery targets the tumor with external beams but can damage surrounding tissue. The treatment delivers small doses of radiation multiple times over 4 to 6 weeks, giving normal tissue time to heal between treatments. Stereotactic delivery allows precise targeting of a high-dose beam of radiation at the tumor from varying angles. The patient must wear a rigid head frame to keep the head still. The types of stereotactic radiation delivery currently available are proton beam, linear accelerator (LINAC), and gamma knife. With stereotactic delivery, the tumor must be at least 5 mm from the optic chiasm to prevent radiation damage. This treatment can sometimes be done in a single session, reducing the risk of damage to surrounding tissue. All forms of radiation therapy cause a gradual decline in production of other pituitary hormones over time, resulting in the need for hormone replacement in most patients. Radiation also can impair a patient’s fertility. Vision loss and brain injury are rare complications. Rarely, secondary tumors can develop many years later in areas that were in the path of the radiation beam. Ask your radiotherapy specialist for more details on the procedure chosen, its risks and side effects. No single treatment is effective for all patients. Treatment should be individualized, and often combined, depending on patient characteristics such as age and tumor size. If the tumor has not yet invaded surrounding nonpituitary tissues, removal of the pituitary adenoma by an experienced neurosurgeon is usually the first choice. Even if a cure is not possible, surgery may be performed if the patient has symptoms of neurological problems such as loss of peripheral vision or cranial nerve problems. After surgery, hormone levels are measured to determine whether a cure has been achieved. This determination can take up to 8 weeks because IGF-I lasts a long time in the body’s circulation. If cured, a patient must be monitored for a long time for increasing GH levels. If surgery does not normalize hormone levels or a relapse occurs, an endocrinologist should recommend additional drug therapy. With each medication, long-term therapy is necessary because their withdrawal can lead to rising GH levels and tumor re-expansion. Radiation therapy is generally reserved for patients whose tumors are not completely removed by surgery, who are not good candidates for surgery because of other health problems, or who do not respond adequately to surgery and medication. Acromegaly is a hormonal disorder that results from too much growth hormone (GH) in the body. In most people with acromegaly, a benign tumor of the pituitary gland produces excess GH. Common features of acromegaly include abnormal growth of the hands and feet; bone growth in the face that leads to a protruding lower jaw and brow and an enlarged nasal bone; joint aches; thick, coarse, oily skin; and enlarged lips, nose, and tongue. Acromegaly can cause sleep apnea, fatigue and weakness, headaches, impaired vision, menstrual abnormalities in women, and erectile dysfunction in men. Acromegaly is diagnosed through a blood test. Magnetic resonance imaging (MRI) of the pituitary is then used to locate and detect the size of the tumor causing GH overproduction. The first line of treatment is usually surgical removal of the tumor. Medication or radiation may be used instead of or in addition to surgery. Researchers continue to study treatment options for people with acromegaly. Studies are examining the safety and effectiveness of different types, dosages, dosing schedules, and combinations of somatostatin analogs and GH receptor antagonists, both before and after transsphenoidal surgery. Another study is evaluating the effects of GH replacement in adults with a history of acromegaly who are now growth hormone deficient..